Islamic show host Islam al-Beheiry was sentenced in absentia to five years with labour for charges of being in contempt of religion on Saturday. 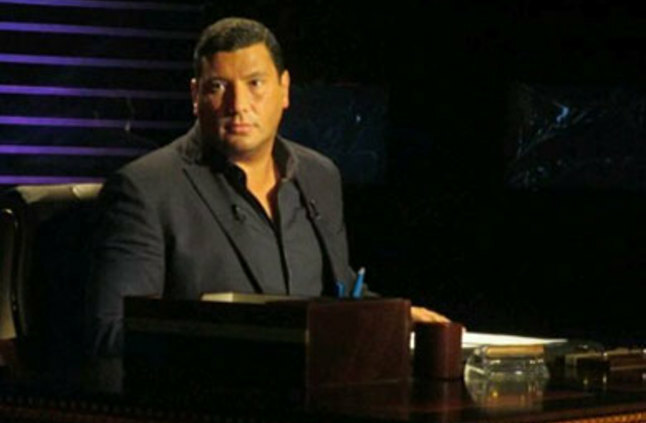 The head of the Old Cairo prosecution, Tamer al-Araby said Beheiry has the right to appeal the verdict, adding that the show host has not taken any procedures towards the appeal yet. Beheiry faces two other trials for the same charge, one of which was filed before the Administrative Court by the Grand Sheikh of Al-Azhar, Sunni Islam’s foremost religious institution. Al-Azhar had accused him of broadcasting ideas that affect “the fundamentals of religion” and filed a complaint against him before Egypt’s top prosecutor. Meanwhile, Beheiry, who describes himself as an Islamic researcher, said that he is contributing towards renewing religious discourse and “preventing Islamic heritage from being a reason for extremism”. Being in contempt of religion is punishable by between six months and five years in prison and a fine worth 500 to 1,000 Egyptian pounds. Citing two articles in Egyptian law, the Arabic Network for Human Rights Information said in January 2014, that “simply…anyone could be presented to court” for publishing an article, images or any material on any of the divine religions if the opinion expressed is different from that of the ruling faction. The legal organisation added that there is no “objective criterion to define” when the published material is considered in contempt and when it is considered just an opinion.